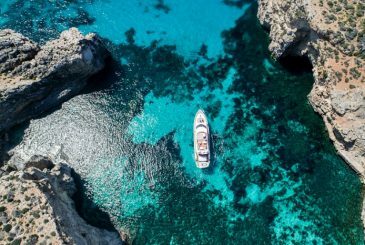 Hand-pick a customised charter cruise on your own luxury Sunseeker yacht to experience the real magic of the Mediterranean. Win a FREE harbour cruise for four! Enjoy wonderful attractions in delightful company aboard one of the most prestigious yachts available. Add nibbles and champagne to your private harbour cruise and several photos, including one with the boat, captain and crew. 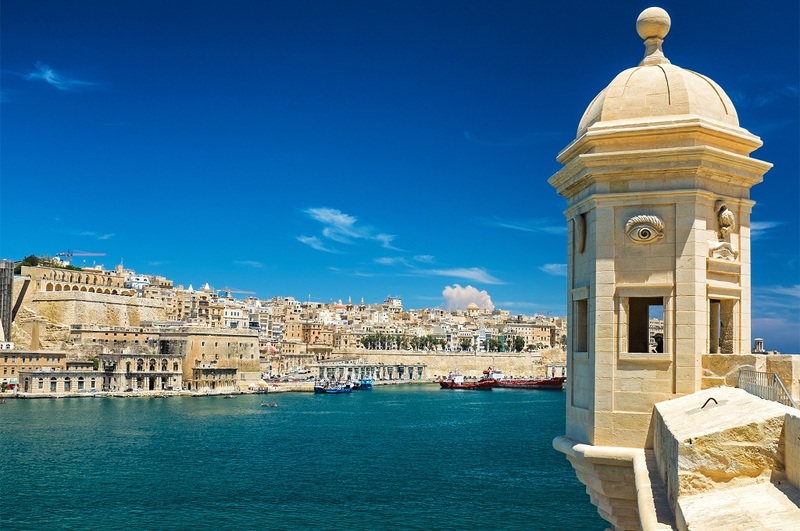 Malta features a number of natural harbours, the most notable being the magnificent Grand Harbour flanked by Marsamxett Harbour, with the capital Valletta perched on the peninsula in between. The location of bloody historic battles from the Great Siege of Malta to World War II, the two harbours include several attractions best enjoyed from the sea. 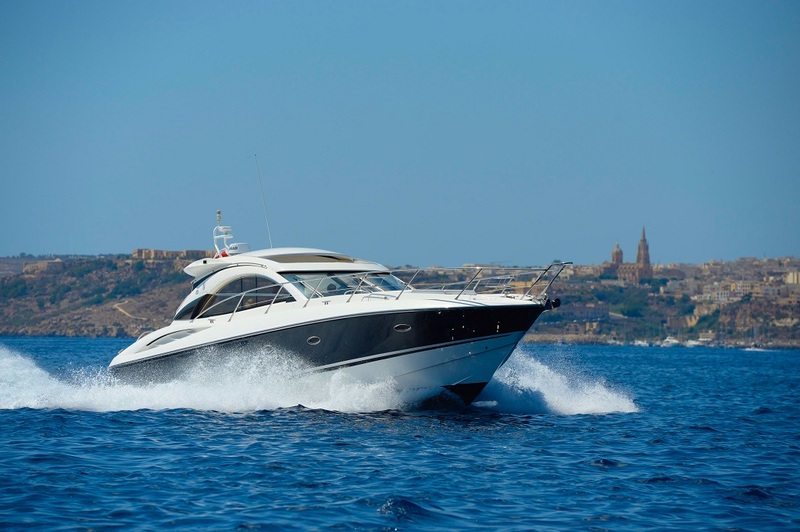 And while harbour cruises are aplenty, here are some of the reasons to do a harbour cruise on a Sunseeker yacht. See the prominent fortifications of the Three Cities of Birgu, Bormla and Isla (otherwise known as Vittoriosa, Cospicua and Senglea) and Valletta up close. 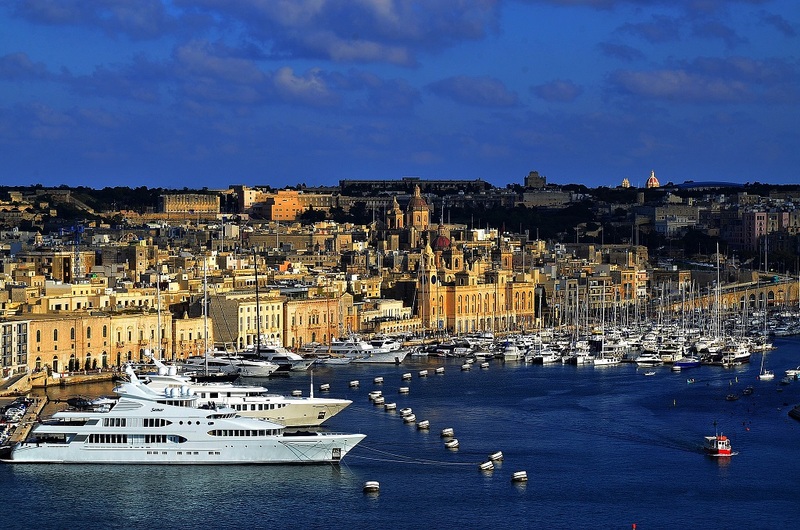 Visiting each of these cities from the water on a yacht allows you to snoop into those areas of the Grand Harbour that most interest you and allows you to linger longer. 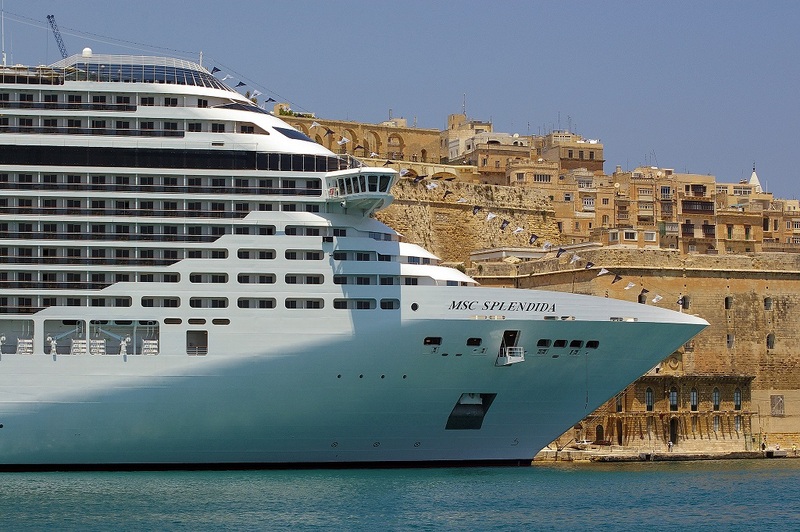 Appreciate the sheer grandeur of the cruise liners that enter the Grand Harbour as your Sunseeker yacht, which previously felt large and luxurious, suddenly gets swallowed up by the shadow of one of these floating giants. Swan by the Valletta Waterfront with all its restaurants and let the cruise travellers envy you in your very own private yacht. 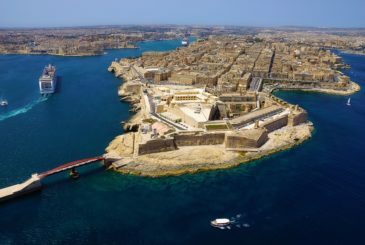 Admire the magnificence of Fort St Angelo in Birgu, Fort Rinella in Kalkara, Fort St Elmo in Valletta and Fort Manoel in Manoel Island from the perspective of the invader. You can properly admire the impenetrable walls and imagine what an onslaught from the defences might have been like while you cruise in luxurious comfort. It is only from the water that you can properly peek at the now derelict Lazaretto hospital built in 1643. 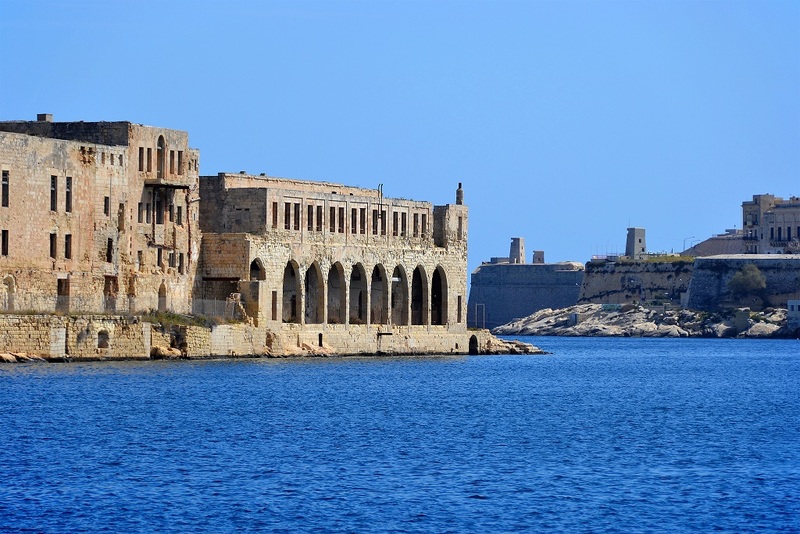 Located in Marsamxett Harbour on Manoel Island, the quarantine hospital treated infectious diseases such as the plague and cholera. Do you think that its spooky demeanour may be due to ghosts that may still be lingering there? The Valletta skyline as seen from Marsamxett Harbour may be one of the most photographed images of the Maltese Islands and with good reason. 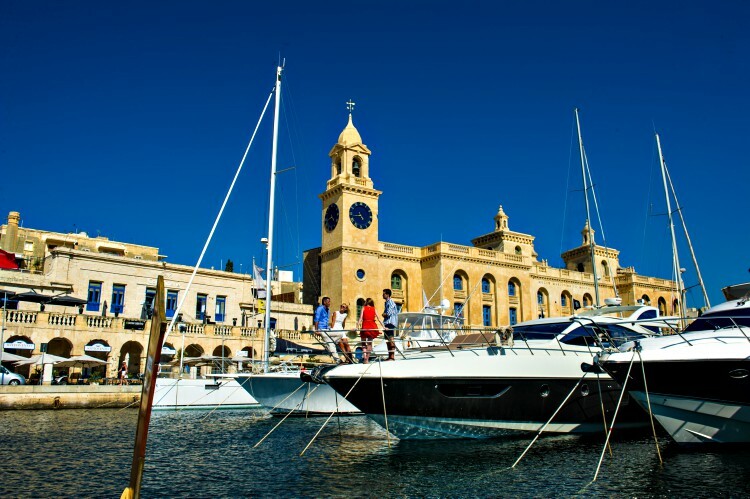 Get up close and personal in your Sunseeker yacht for a deeper scrutiny of its oddly placed buildings embellished with traditional Maltese balconies, its dominant cupola and bell tower. Admire the 17th century limestone reflect a golden shine during sunset. Back at the Birgu Yacht Marina in the Grand Harbour, feel free to express your disdain at the ridiculous sums spent on 'hideous' superyachts that come complete with car, speedboat and helicopter. Of course, we do understand your envy and would console you with a little bubbly and caviar, perhaps! The moment you step into the delicious comfort of your exquisitely designed Sunseeker, you'll feel like a king or queen with not a want in the world. 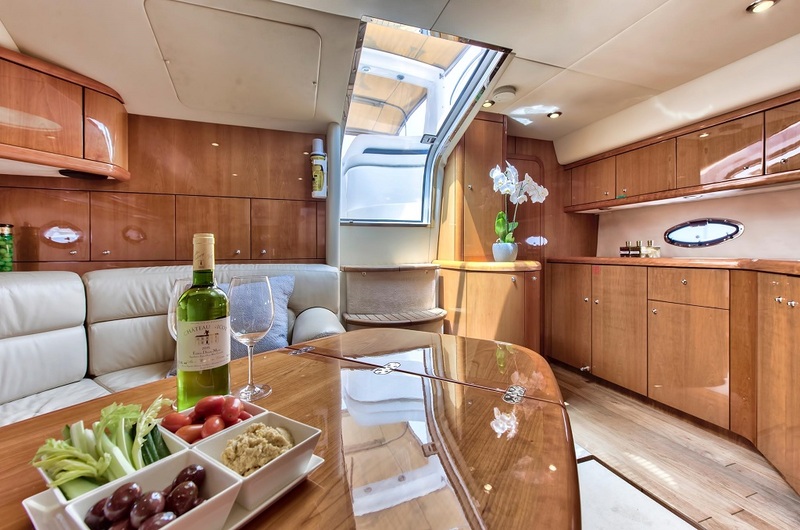 Marvel at the clever layout that makes the most of space and the feeling of incredible luxury within the confines of a compact floating vessel. Your steward/ess will serve refreshments while you relish blissful satisfaction. Welcome aboard a Sunseeker ushered by a professional crew in full uniform. You're in for two hours of wonderful attractions in delightful company aboard one of the most prestigious yachts available. Enjoy a few nibbles and champagne as you experience a unique harbour cruise. Take home several photos, including one with the boat, captain and crew! Enter and win! Azure Ultra is offering a unique opportunity for the competition winner and three friends to enjoy this wonderful harbour cruise experience! The cruise duration is two hours from 10:00-12:00 and includes a champagne welcome drink with the uniformed captain, along with nibbles served by the stewards and stewardesses, a tour of the yacht's cabins and a photo with the captain and crew. All this on top of all the wonderful attractions of a harbour cruise in Malta's glittering Grand Harbour and Marsamxett Harbour. So go on, enter to win yourself an unforgettable private harbour cruise. . . and start thinking about which three friends you'll take with you. Luxury boating opportunities uniquely tailored to your specific requirements await. Discover Azure Ultra's fully crewed charter options. What’s included in the lunch menu?